We’ve created a free PDF racking inspection checklist and guide that you can download right now. Use our racking inspection checklist to carry out internal racking Inspections and to check the condition of your pallet racking system. Why Did We Create a Racking Inspection Checklist? 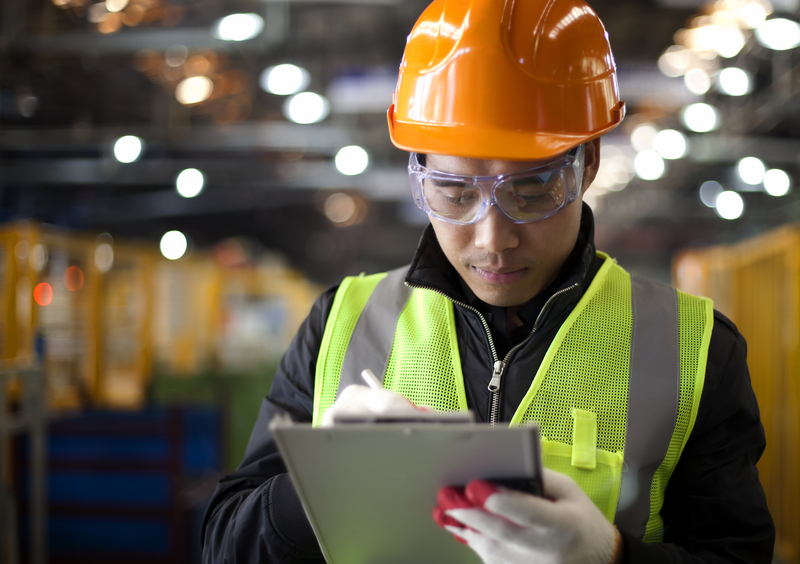 We created the checklist because of a demand for something which businesses can use to carry out the sort of inspection which HSE recommends in its guide on warehouse safety. As a business which is committed to safety, we didn’t want people to have to pay for a checklist that should be available for free. How Do I Use This Racking Inspection Checklist? The detailed guide, which comes with the checklist, gives specific information on how to use the racking inspection checklist. The guide should also be used alongside HSE’s traffic light system as referenced in HSG76. Where Do I Get This Racking Inspection Checklist? Right here! Just click the link below. Who Can Use This Racking Inspection Checklist? The checklist has been designed for use by people with specific training for pallet racking inspections. If you or your staff haven’t received such training, we wouldn’t recommend using this racking inspection checklist. HSE’s opinion is that the person who should carry out regular racking inspections in your workplace should be “competent”. According to the CDM Regulations, the definition of “competent” is up to the employer. How Can My Staff or I Become “Competent” Enough to Use This Checklist? At Storage Equipment Experts, we offer pallet racking inspection training. Our opinion is that a racking inspection training course will mean that you are competent enough to perform the sorts of inspections which HSE and the Provision and Use of Work Equipment Regulations (PUWER) 1998 recommend. Our racking inspection training course is run by one of the few SEMA approved racking inspectors to be a SEMA approved pallet racking inspector and a SEMA approved cantilever racking inspector. Our course can be delivered at our easily accessible centre which is near London, or at your business. We are happy to travel to any business in the UK or Ireland. Contact us for a quote on racking inspection training. My Download Didn’t Work. What Now? Some computers block the download. This is either because you have a pop-up block or an ad-blocker turned on. Click on your ad-blocker or pop-up blocker and disable it for this site. After that, your download should work.